We are very fortunate to offer meditation courses in an area rich with people of different colors, genders, backgrounds, cultures and religions. The New York Vipassana Association (NYVA) Non-center Committee welcomes all to our courses. The New York metropolitan region is a crossroads containing multitudes of people from all over this world, some of whom settle here and others who are visiting. With respect to our diverse beginnings and our unique lives, when we come to a Vipassana course, we are united by a common cause, a common purpose—to solve the mystery of human suffering. Although this teaching comes from Gotama the Buddha, it is presented in a non-sectarian format. The Buddha was not interested in converting people. He had found the Path to the end of suffering and his only interest was to share this with others. It is the same today. The cause of suffering lies within each of us and we only need to look inside to find its solution. This works for anyone regardless of their origins or traditions. On every course we have many students whose native language is not English. Course materials are available in almost 50 languages. If English is not your native language, then someone from the center will contact you to see how we can accommodate you. 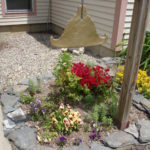 The campuses at all the meditation centers and non-centers in this tradition are separated into male and female sides. This extends to the residential accommodations, the walking areas, the dining rooms and the meditation hall. This structure is designed to reduce the tension that derives from the mixing of genders. We recognize this doesn’t work for everyone and that sometimes members of the LGBTQ community may not feel comfortable on either side of the campus, or having to identify as male or female. If conforming to binary gender separation is a concern for you, please let us know when you apply to the course, so we may discuss your options and make a plan. At present, we have only dorm-style cabins and shared bathhouses. 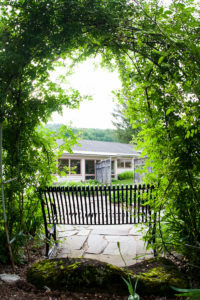 Unfortunately, due to the layout of our non-center settings and the limits of Dana--the donation-based funding for the courses--we are unable to accommodate requests for single rooms at the Sharpe Reservation and Major Bowes Retreat Center. If you feel this setting will not work for you, we may direct you to a Vipassana meditation center where you may be able to have your needs met. If you feel the non-center setting can work for you, but you have questions, or if you would like a recommendation for a center which can better accommodate your needs, then let us know about your concerns in the section of the application where we ask, “Anything you wish to add to the above information?” We will contact you and together we will try to make a plan that works for you. Your private information is confidential and is for the teacher. Some applicants may have a special requirement because of a health issue, physical limitation, pregnancy or a medical dietary restriction. Because this course is run at a non-center site and there is unpaved and uneven terrain between cabins and the meditation hall, we are unable to accommodate certain types of physical limitations. The camp is large and integrated into its natural environment, so participants should be comfortable walking 5-10 minutes at a time. All meals are vegetarian. While we are unable to accommodate special diets, menu cards will note any standard ingredients that may cause an allergic reaction [eg:nuts, soy, dairy, gluten]. Please let us know if you have dietary restrictions. If you feel you can work with these conditions, we need to know the extent of your requirements well in advance of your arrival. If you have a special need, please describe it in the section “Anything you wish to add to the above information?” on the application form. We will contact you to discuss your needs. Should the setup of the Sharp Reservation and Major Bowes Retreat Center be too challenging, we encourage you to look into courses at established centers. For those people from other countries coming to a Vipassana meditation course, we can provide a letter for consulate or immigration officials for help in obtaining a visa (See: Vipassana letter for immigration officials).